Expedition Foods Fish and Potato with Parsley Sauce (High Energy Serving) a creamy potato with white fish in a parsley sauce. Expedition Foods Fish and Potato with Parsley Sauce, high energy serving Creamy potato with white fish in a parsley sauce. 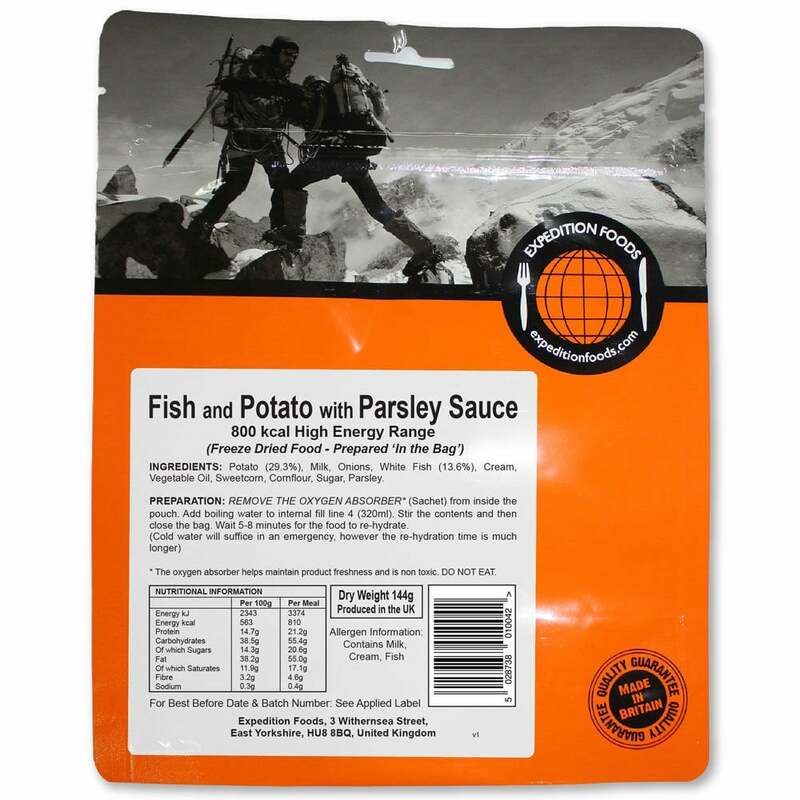 Expedition Foods Fish and Potato with Parsley Sauce Preparation: Remove the oxygen absorber (Sachet) from inside the pouch. Add boiling water to internal fill line 4 (320ml), stir the contents and then close the bag and wait 5-8 minutes for the food to re-hydrate. Potato, Milk, Onions, White Fish (13.6%), Cream, Sweetcorn, Vegetable Oil, Cornflour, Sugar, Parsley.